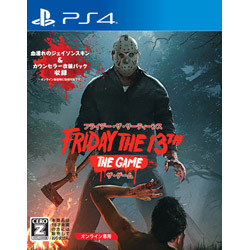 FRIDAY THE 13TH and all related characters and elements are trademarks of and (C) New Line Productions, Inc. and Horror, Inc. (each to the extent of their interest). Gun Legal info: (C) 2017 Gun Media Holdings, Inc. All Rights Reserved. Summer Camp, Slasher Vol., Gun Media and Summer Camp Logo are trademarks of Gun Media Holdings, Inc, in the US and/or other countries.